Players concerned with the "pay-to-win" microtransactions that were recently added to H1Z1 can get a full refund, no questions asked. 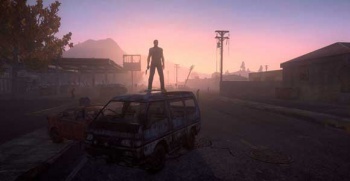 H1Z1, Sony Online Entertainment's upcoming zombie survival MMO, has recently managed to well and truly divide it's community, with the introduction of "airdrops". Airdrops are essentially a "pay-to-win" microtransaction, as they allow players to pay real money for an in-game drop of valuable supplies, which as you can imagine in a zombie survival MMO, would be quite handy. Naturally, many fans who bought into the game's paid early access alpha are upset, as there was no indication that such a feature would be added at the time. To remedy this, SOE has offered disgruntled fans who purchased the game as of 10:30am, 1/16/2015, until Monday (PST) a no-questions-asked full refund. Developer John Smedley posted the policy over Twitter, pointing to a reddit thread where he is answering questions. Reportedly, upset fans can alternatively give themselves a "self-refund" for the title by going to their Account Details > Store Transactions page, and clicking the "refund game" icon next to the H1Z1 transaction icon. As stated early, you only have until Monday to claim your refund. We at The Escapist apologize for reporting on this policy so late, but, SOE had been very quiet on the matter, and made no official announcement aside from Smedley's Twitter post. Elsewhere in the reddit thread, Smedley himself admitted that airdrops will be receiving some tweaks in the near future, but "without these changes i think it's fair to call [airdrops] P2W." It's unfortunate that the refund policy only lasts until Monday, as fans who are interested to see what these changes are won't get a second chance if it turns out they are still disappointed. So what do you think of all this? Are you upset enough with the game's microtransactions that you will get a refund, or do you think people are over-reacting?